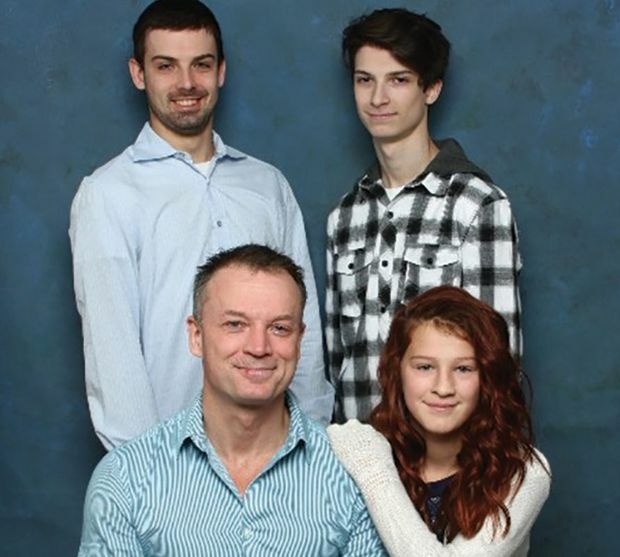 Paul Colbran with his daughter Alexa and his sons Kurtis and Nikolas. For the first 15 months of her life, Alexa Colbran’s parents, Paul and Gayle, made a weekly trip from their home in London, Ontario, along the busy Highway 403 to SickKids in Toronto for treatment for her strawberry hemangioma. “Fully recovered 12 years later, she just has to concentrate on being a kid. She’s a very happy, healthy, bouncy girl,” says Mr. Colbran. Recalling the visits – one entailed two consecutive 14-hour days – evokes many memories. The Colbrans were also touched by the strength of other young patients. “They had been trying to insert a PICC [a tube used to deliver intravenous medication] and Alexa was crying. An 11-year-old boy with leukemia, who was getting his chemo treatment, came over and patted her on the head and consoled her. I always remember that,” he says. Those memories have stayed with him over the years, so when it was time to update his will a few years ago, he decided to leave a gift to SickKids in his estate plans. It makes the calculations more straightforward, he jokes. Mr. Colbran has three children. “SickKids will get 10 per cent and from there the math is easy, 30 per cent for each child,” he says. SickKids is a world-class organization with a world-class attitude, and the people who work there should have a state-of-the-art facility and the tools they need. Overseeing production in the auto industry, Mr. Colbran says he is not a wealthy person; nevertheless, he wants to contribute to SickKids to show his gratitude and ensure SickKids will be there for all the kids who will need it in the future. His legacy gift will support the highest priority needs of the hospital in the future.